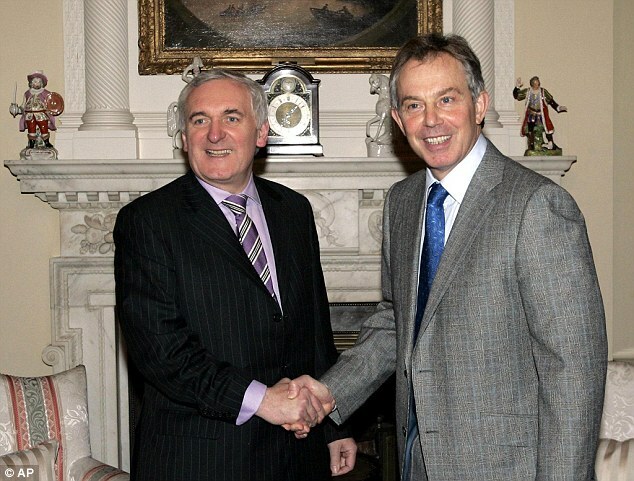 Tony Blair and Bertie Ahern issued a joint call for a new Brexit referendum today warning leaving the EU was the biggest threat to the Good Friday Agreement. The former leaders of the UK and Ireland said the peace plan was based on talks between both sides confirmed by public votes – proving the case for a new referendum on Brexit. While insisting there was no comparison between the reconciliation crucial to ending the Troubles, they said both Leave and Remain voters must be brought into the Brexit process. 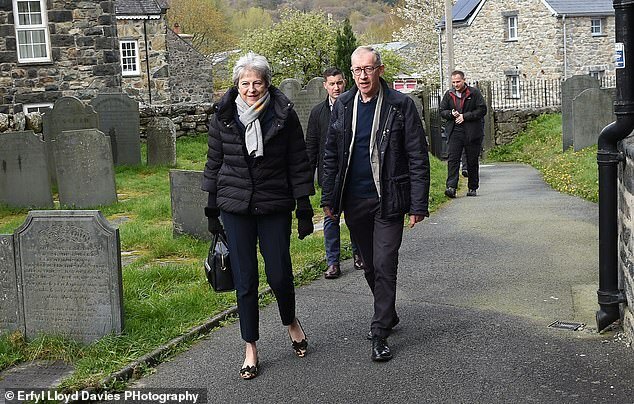 They said the new delay to Brexit until October 31 meant there was now time for a referendum – and called on Mrs May to lead it before she quits Downing Street. 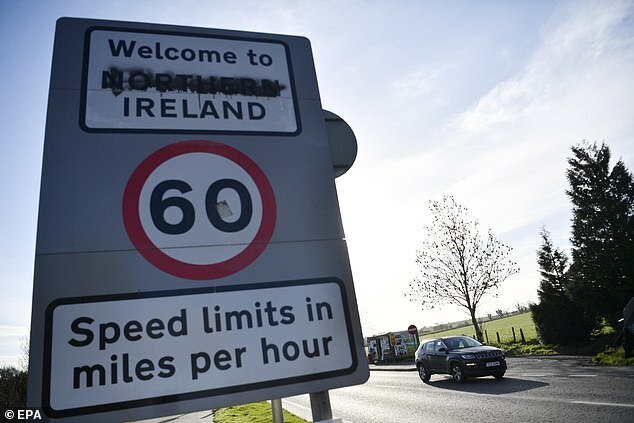 Mr Blair and Mr Ahern said the question of how to manage the border went to the heart of the entire Brexit negotiation. Mr Blair and Mr Ahern both entered office in 1997 and shared a decade alongside each as Prime Minister and Taoiseach. Writing in the Guardian today, they said: ‘Following the Good Friday agreement, there were two referendums. ‘The referendum in Northern Ireland, on the agreement, based on facts not promises, clarity not ambiguity, received a 71 per cent yes result. The related referendum in the Republic of Ireland achieved a 94 per cent yes. ‘There is now time for a confirmatory referendum given the EU has expanded the Brexit deadline to 31 October. The ex-leaders urged Mrs May to learn from the mistakes of the past three years and instead use the new Brexit delay to ‘encourage calm amid the chaos’. They said Mrs May should resist attempts to oust her over the next six months and bids to create an ill-defined ‘proper Brexit’. Mr Blair and Mr Ahern said: ‘Of course, nobody should compare the tragedy of the Troubles to Brexit, but as the rhetoric becomes stronger, the language becomes more divisive and inflammatory, the divisions in the Tory and Labour parties more evident, the need for calm matters even more. ‘Having conversations with the public matters. Speak to those who voted remain, the 48%, alongside those who voted leave, and try to understand both. ‘Speak to those who do not tweet incessantly or rage endlessly on radio phone-ins, as well as those who do. ‘Understand that the public are undergoing the same process of churn and reflection as the politicians, and give them permission to be honest about that.